I can appreciate your thought process behind the differences between Iran and the West regarding "freedom" and "democracy," but I feel perhaps you and City Boy both miss the big picture. I don't think their differences lie in power at all, nor do I think comparisons between the two should be rooted in the arguments of Chomsky. Sadly the current state of Iran, along with many other countries in North Africa/Southwest Asia, stand as reactions to the West. With all the (very negative) interactions between "West" and "East," or perhaps more appropriately, the West's (economic/cultural/political/territorial) imperialism, has caused much of the "East" to backlash against anything that smells even remotely Western. 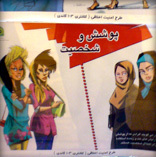 Does that not pretty much define the "Islamic" revolution? The sad thing is that along with this backlash, ideas of orientalism are still imported into these countries, and so those that find the actions of movements/governments that are termed indigenous disgusting (like those of the IRI) can easily be drawn to sick ideas of orientalism. Not that I mean to imply that this is THE binary and all folks in Iran fall into one of these categories, but I think the distinction is there, and I think you will find plenty of the anti-Western, pro-"indigenous" folk and plenty of people who have bought into the disgusting ideas of orientalism. I suppose that's what this debate really boils down to, it's not so much Chomsky as it is Said. I'm with you on this too, David. David, do you get a sense that those of us who have lived outside Iran have a better sense of what freedom is NOT, than those who lament its absence in Iran all the time?